GUNDAM BUILD FIGHTERS | The semifinals are heating up! 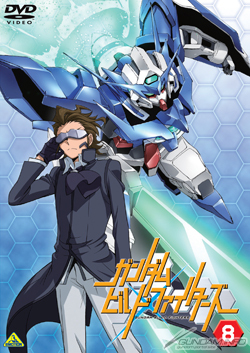 Gundam Build Fighters DVD vol. 8 goes on sale July 25th! The semifinals are heating up! Gundam Build Fighters DVD vol. 8 goes on sale July 25th! 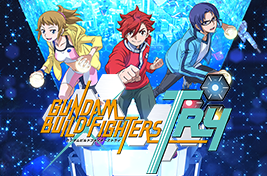 The eighth DVD volume of the TV hit Gundam Build Fighters is available today, July 25th, from Bandai Visual! Volume 8 includes episodes 20–22. As the tournament enters its semifinals, Ricardo Fellini squares off against Aila Jyrkiäinen while Meijin Kawaguchi battles his rival Julian. See the battles heat up on DVD! 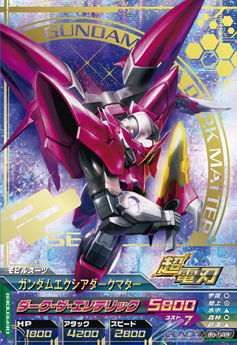 The first press also includes a bonus decorative jumbo-sized “Exia Dark Matter” TryAge card. MSRP is ¥4,000 (tax not included). * Not compatible with Gundam TryAge machines. * Reverse features the volume’s cover art. Volume 8 is also available for rental beginning today! Check it out!